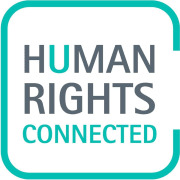 Human Rights Connected (HRC) empowers civil society in protecting and preserving human rights through legal institutions or community organizing. We help human rights defenders access the human rights legal framework through knowledge and resource-sharing. Through technical support, trainings, the curation of practical resources, and other creative projects, we promote understanding of the legal framework and strategic nonviolent action. Would you recommend HUMAN RIGHTS CONNECTED?